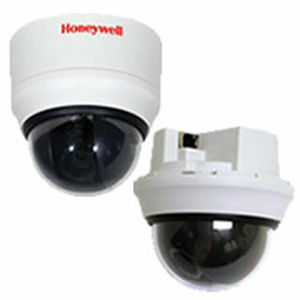 Honeywell’s latest addition to the equIP® Series of IP-based products, the HD3MDIP is a high definition, True Day/Night indoor fixed mini-dome camera engineered to provide extremely crisp images at minimal bandwidth. The HD3MDIP provides 720p resolution at full frame rate. Progressive scan technology and 2D edge enhancement provide outstanding clarity and definition. Digital Noise Reduction results in significant storage savings without sacrificing image quality in low light. The ¼" progressive scan CMOS sensor offers the latest in digital video surveillance technology with accurate color rendition through a wide variety of lighting conditions. The compact, one piece design provides fast and easy installation in any application. The camera comes complete with surface and flush mounting options (compatible with a 4S electrical box) and an optional wall/pendant mount kit is available.